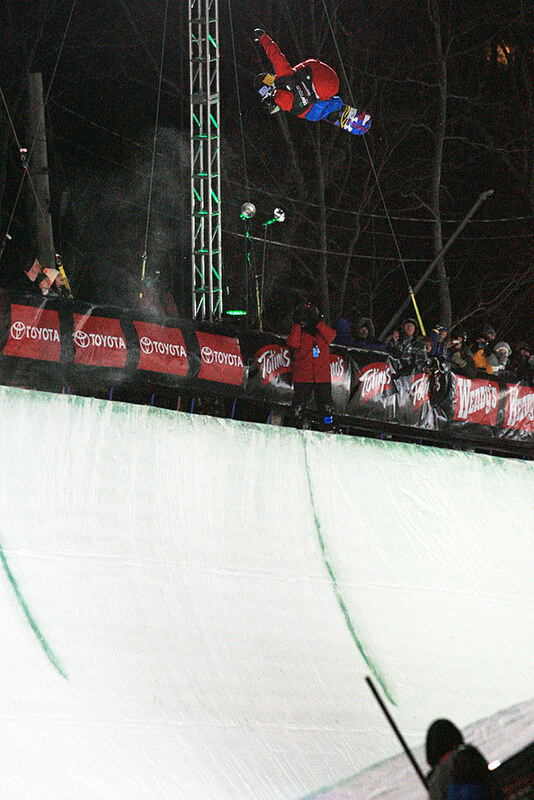 By: George Crosland – With the Team USA snowboard athletes sequestered due to a non-compete clause that does not allow them to compete in any other events before the Olympics and the Burton Canadian Open half pipe event going on at the same time, the Dew Tour was wide open for some fresh talent to step it up on to the podium. 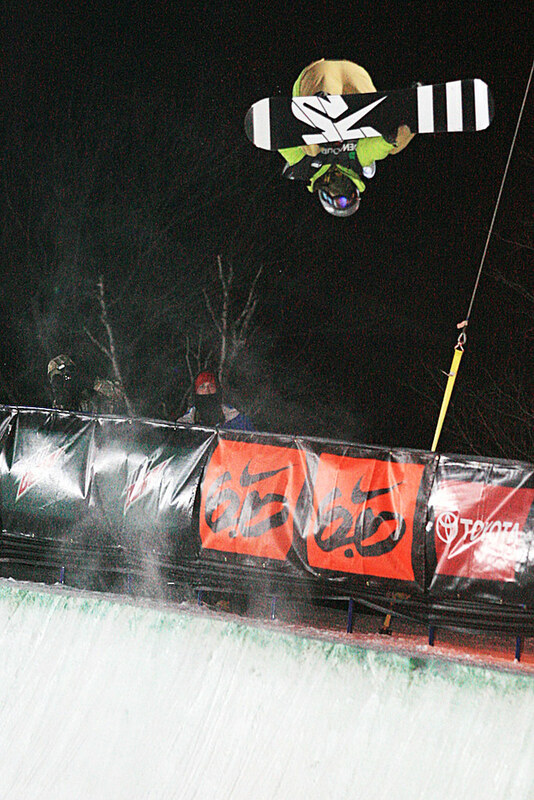 JJ Thomas, being an Olympic medalist from 2002, had the experience and talent to rise to the top of the Dew Tour rider pool for the Toyota Championship in Mount Snow and the overall Dew Cup as well. Out of the 12 finalists though, six of them were under 20. 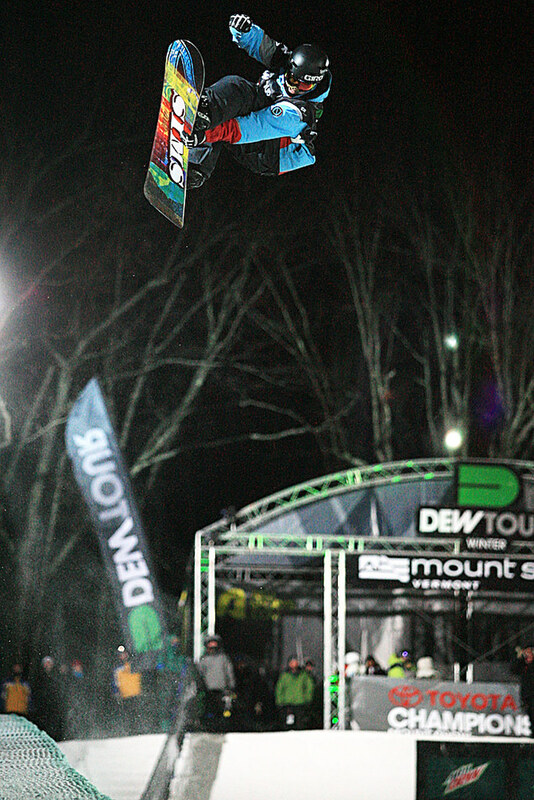 Coming into the event Danny Davis was the leader for the overall Dew Tour Cup. Sadly, his insane riding and great personality were missing from the pipe for this final stop, and we mean missed. Hope Danny gets well soon. So the chase for the Dew Cup had Steve Fisher sitting in prime position and JJ Thomas hot on his heels. A first-place finish by either would almost assure the Cup would be theirs. Click here for the full list of results! 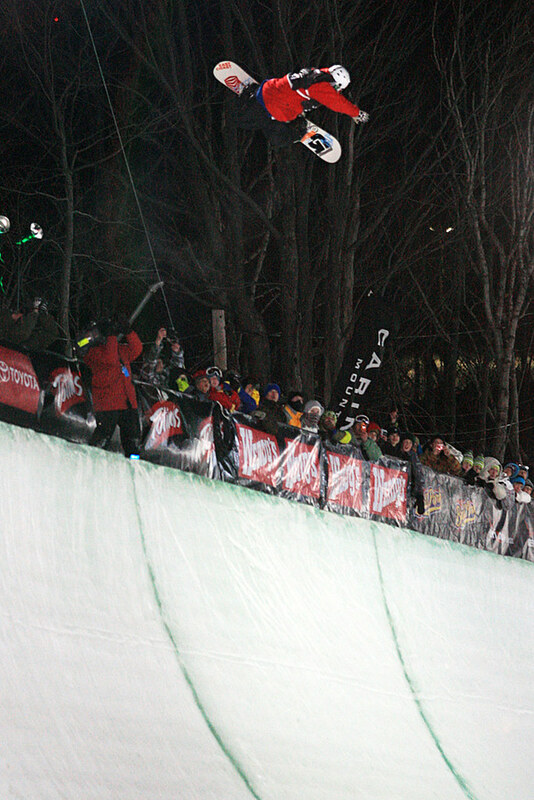 The Mount Snow pipe was groomed well for the finals night, and the riders took to it with some tech tricks right out of the gates. According to JJ Thomas the pipe was "Good, it was decent all week but for the finals it was really good." Despite the fact that with the wind chill temps were predicted to be as low as -10° fans, 1000's of enthusiastic fans, came out to watch the action. The positive of the cold temps meant the pipe was nice and icy (fast) and most riders were able to use this to their advantage. Younger riders like Broc Waring, Spencer Shaw, Conner Leach, Scotty Pike and Ross Baker brought some tech heavy riding to the event. 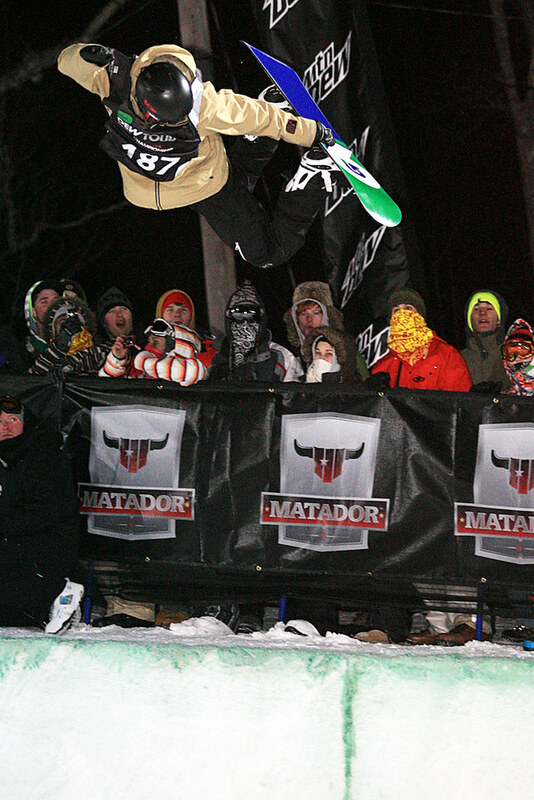 Chris Waker had some huge method airs, always nice to see big styling airs. Elijah Teter brought some of the hardest switch tricks to the table, his riding is often under appreciated. Jack Mitrani went huge and stylish, as always. Every time Dylan Bidez rides it seems that his riding gets better, mixing tech tricks with big air and he ended up just off the podium in fourth. Steve Fisher has a deep bag of tricks, including a front 10 and nice back 7, and hitting 6 walls in the pipe to take third. 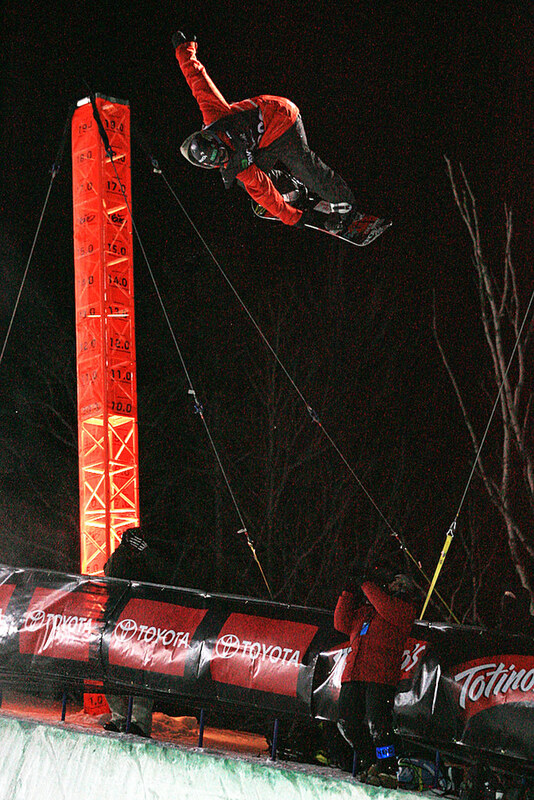 A fall on his final run kept him from the second position something he would need in order to still claim the Dew Cup. 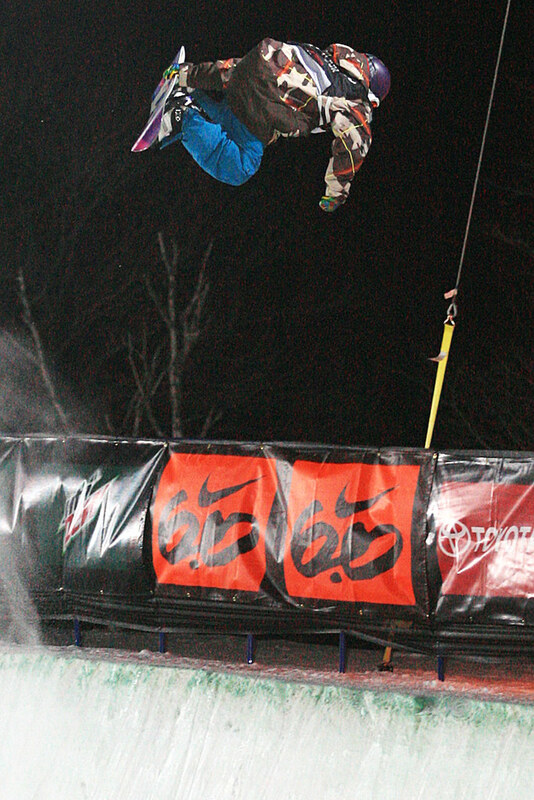 Brennen Swanson does one of the coolest looking tricks out there, the front 7 Taipan. That plus a double crippler indy, and other tricks put him into the second spot. 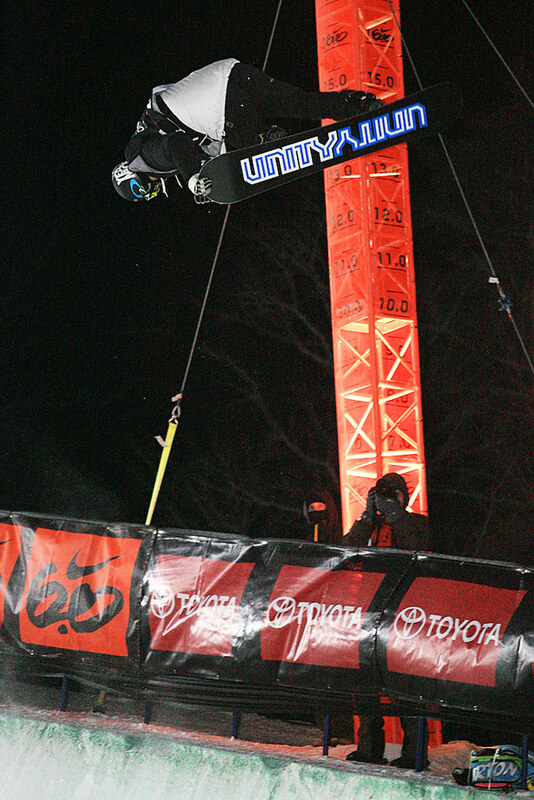 JJ Thomas did back to back 10's and all his tricks so high that he launched himself into the top podium spot. 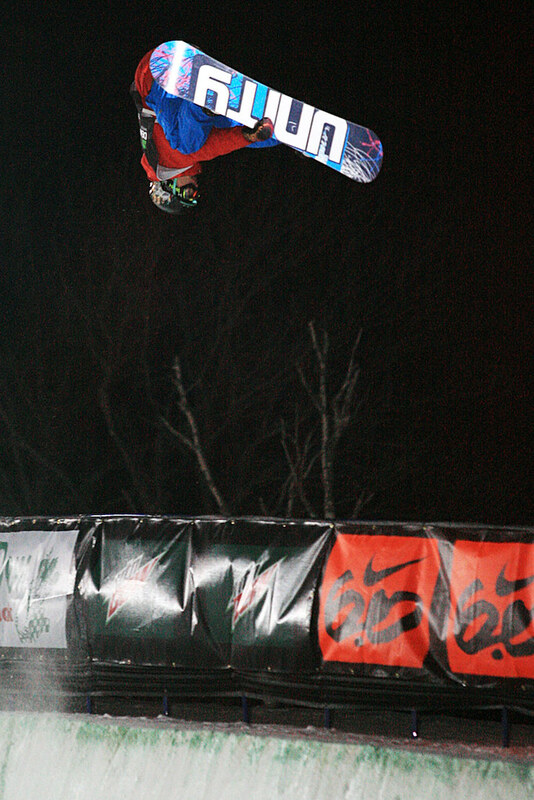 JJ finishing first and Steve third meant that JJ would get the overall Dew Tour Cup by a mere 5 points. At the end of the day, you got to believe that the $25,000 for the Championship is a pretty nice consolation prize for not being on the Olympic team.